Periodontics is a dental specialty that focuses on the gums and other supporting structures of the teeth. 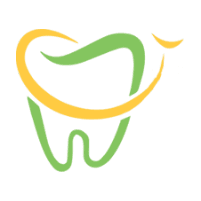 At PDADental in the Financial District, Lower Manhattan, the expert team of dentists evaluates your gums for signs of disease or other problems and offers appropriate treatment. The practice is available to prevent, treat, and manage your gum disease, improve your gum’s appearance, and optimize your oral health. Call the office or schedule an appointment online today. What Periodontal Treatments are Available? Periodontics can also include the placement, maintenance, and repair of dental implants. Periodontal disease is a major cause of tooth loss. It occurs when your gums become infected with bacteria. Overtime, it can affect the ability of the soft tissue of the gums to hold your teeth in place. You can also experience bone loss due to gum disease, which further endangers the integrity of your teeth. Gingivitis is the first form of gum disease and is characterized by red, puffy gums and bleeding when you brush or floss. Good oral hygiene can reverse gingivitis, but if left uncared for, it can progress to periodontitis or full-blown gum disease. Your gums start to separate from the teeth and form infected pockets. As these pockets deepen, your bone and gums continue to degrade, teeth become loose and, in many cases, must be removed. With scaling and planing, a skilled member of the PDADental staff thoroughly scrapes your teeth and roots to remove plaque and tartar. Any roughness on the roots is smoothed to prevent bacteria from gathering again. When complete, your gums are able to heal and reattach to your teeth. When are Gum Grafts or Bone Grafts Required? If gum disease has progressed considerably, you might need transplantation of healthy gum or bone tissue to preserve your smile. Bone grafts are also sometimes required when you don’t have enough bone or it’s not healthy enough to support a dental implant. What is Bone and Ridge Preservation? Bone regeneration intends to regenerate lost bone around existing teeth or in areas where teeth have been extracted. The procedure can help protect your teeth and the spread of bacteria. During bone regeneration, your gum tissue is folded back to remove bacteria and then grafts of bone or other tissue is used to encourage the natural regrowth of bone and healthy tissue. Ridge preservation involves placing bone grafting material into empty tooth sockets to rebuild bone, filling in the weakened area. The intention is to stimulate your body to regenerate bone. For more about how to foster healthy gum tissue, call the office or book an appointment online today.